Looking for a set of steel Toledo wheels and chrome hub caps. 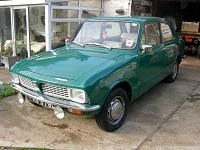 Ideally in South West or anyone selling some and going to the NEC classic car show next month ? Any help really appreciated. Cheers guys. Thanks Alan for replying.. sadly I am in Cardiff so little to far away. But thanks again anyway. I have a full set of steelwheels & centre caps from the 1850 im breaking. I can send pics if needed.